Konica Minolta bizhub C458 Multifunction Color Copier. 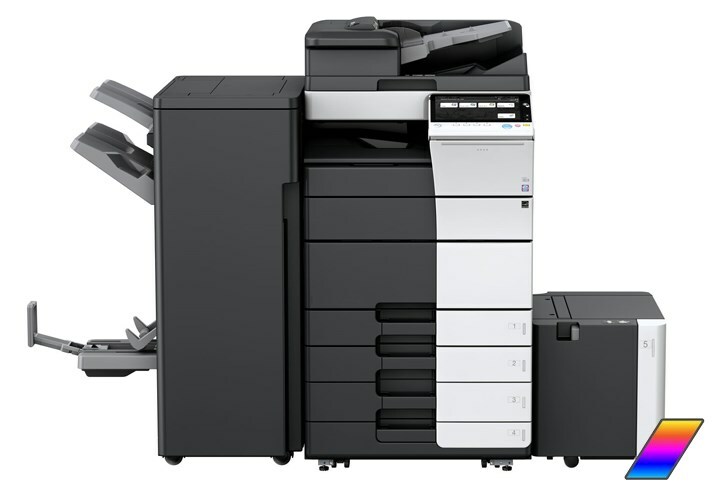 Muratec's MFX-C4590 helps you bridge the gap between the paper and digital world. With its innovative features and standard duplexing automatic document feeder (DADF), the MFX-C4590 helps your office achieve business-class document solutions with full color printing speeds at up to 45 pages per minute. The MFX-C4590 features exceptional color output capabilities right out of the box. For an even greater level of color output performance, Muratec is proud if offer the Fiery Color Profiler Suite from EFI, a global leader in color management tools and solutions. Utilize Muratec's MFX-C4590 to quickly turn your paper documents into electronic files that can be emailed, stored in a PC folder, faxed or transferred to a cloud-based storage and/or workflow system. Scan directly into traditional file formats such as PDF, TIFF and JPEG, as well as new formats such as PowerPoint. 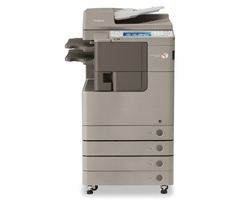 The MFX-C4590 was designed to revolutionize the way users interact with their office equipment. It starts with the 9" color touchscreen, which mimics the multi-touch interface found on today's mobile devices. Features such as pop-up menus, scrolling function keys andul fully customizable user screens deliver the most intuitive, user-friendly experience on the market. 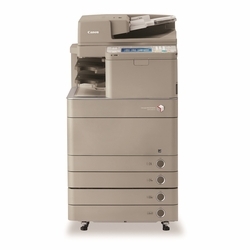 The MFX-C4590 is the ideal solution for producing professional-looking reports, presentations, case files, newsletters, bulletins, flyers, marketing and training materials. Produce documents securely in-house to better control costs, resources and confidentiality.